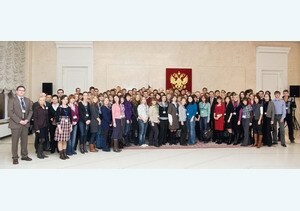 Seminar for the fellows program "Mikhail Lomonosov" and "Immanuel Kant"
Final seminar for workshop and fellowship programs "Mikhail Lomonosov" and "Immanuel Kant" was held in the Russian-German House in Moscow - April, 16 - 17. April from 19 to 20 in 5-Corps Conference Room ETU will be school-seminar "Fundamentals of innovative entrepreneurship"
New cycle of training courses on the program ANSYS started. Dear women! 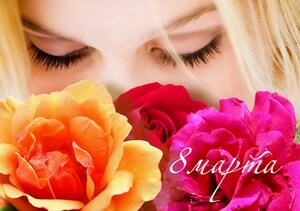 Congratulations on the holiday of spring! Stay always beautiful and loved. Let the luck and success accompanies you - in matters of personal and official. Day of Fatherland Defenders! (Man's red-letter day). We wish you health, marital happiness and career. 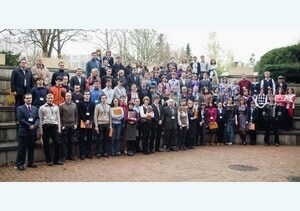 Conference of teachers and scientists of SPbGETU will be held from 26 january to 6 february, 2010 in St. Petersburg Electrotechnical University. 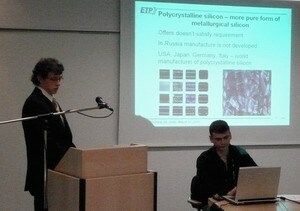 From 13 to 15 November 2009 in Bonn (Germany) Kichigin Vyacheslav participated in seminar of German Academic Exchange Service DAAD, where he presented results of his work under the grant "Michail Lomonosov".